With plenty of variations on the theme, I see four general categories of authors who self-publish. They just want to publish something for their close friends and family. They have a story to tell, a message to share, that they hope will go beyond just their social media connections. Their book is a marketing piece for some larger (read: much more expensive) product or service. They can’t get a publisher to pick up their story. No matter the reason for self-publishing, the joy is that the author controls the process. The drawback is that the author controls the process. Traditional publishing houses own a part of your book, in exchange, they make sure they have a quality product. Publishers take care of the edit, layout, cover, and marketing of your book. When self-publishing, however, you – the author – are in charge of all of those things. 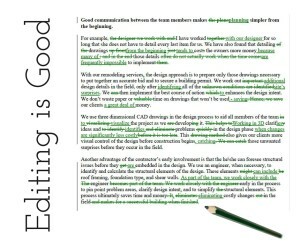 Being an editor, I want to talk about the importance of editing your self-published book. Don’t be afraid of your editor. We will improve your work, and some of us do it in colors other than red. First, let’s consider Lorrie’s 1st Commandment of Writing: If you wrote it, have someone else read it before it goes out. This is because, in time, we stop seeing what we actually wrote. We see what we meant to write. Now, consider the self-published book. Who edits it? Well, many people think that they are perfectly good at editing other people’s work, so why not save a few bucks and edit themselves. They make this decision forgetting (or never knowing) that they no longer see what they actually wrote. For all they know, there could be a single paragraph showing up three times in a row (I’ve heard of just such a thing). Seeing as how even mass produced books – projects that have had multiple editors – still have a minor error or two slip through, it is not a big stretch of the imagination that the self-edited project will have more than just a minor error. With that in mind, let’s talk about the repercussions of self-editing for our four classes of authors. For the near and dear: Well, there is the point and laugh factor. But, they love you, right? Right? For the bigger message: Now this is embarrassing. The spread of your message may not get past your Facebook friends because they can’t seem to get past that one paragraph that shows up three times in a row. For the marketing piece: The bigger, or more plentiful, the errors the more likely your audience is going to view you as unprofessional and incompetent. They are certainly not going to want to spend more money with you. For the author looking for publishers: Well, you’re even less likely to have one pick you up now. What would happen, if the author – you – invested in some professional editing? Yes, an error is still possible, but just as two minds are better than one, four eyes are better than two. The likelihood of that repeating paragraph plummets. For the near and dear: More respect from those you share your story with. For the bigger message: The chance for the message to go beyond viral. It could go global. For the marketing piece: No one will notice. But you Will. Sell. More. For the author looking for publishers: Publishing houses are extremely cautious when it comes to picking up new authors, proving you have an audience can go a long way. And, a well-edited piece is going to attract a much broader audience. And on that much happier note, I want you to think about one more thing: how often do you see authors include their editors in the acknowledgments? 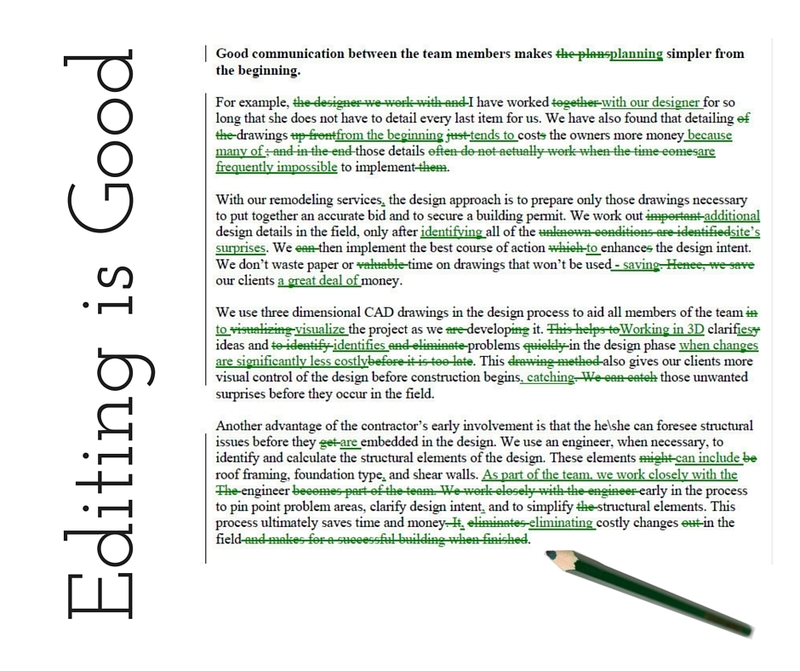 ← What Type of Editing do You Do?